The mission of Tents 4 Homeless is to addresses the critical need to protect homeless people from inclement weather and to offer a temporary night-time place of refuge by providing durable, light-weight, weather-resistant tents and sleeping bags to homeless women, men and children not in emergency shelters. Tents 4 Homeless is a project of the Center for Human Rights and Constitutional Law, Inc. The Center is a non-profit, tax-exempt, public interest legal foundation dedicated to furthering and protecting the civil, constitutional, and human rights of vulnerable low-income communities. 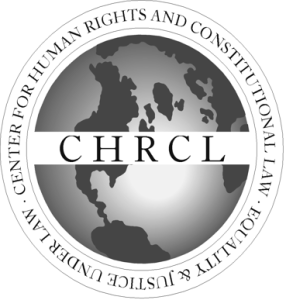 Since its incorporation in 1980, under the leadership of a board of directors comprising civil rights attorneys, community advocates and religious leaders, the Center has provided a wide range of legal services to vulnerable low-income victims of human and civil rights violations and technical support and training to hundreds of legal aid attorneys and paralegals in the areas of constitutional law, international human rights, and complex and class action litigation. Visit www.centerforhumanrights.org for more details.